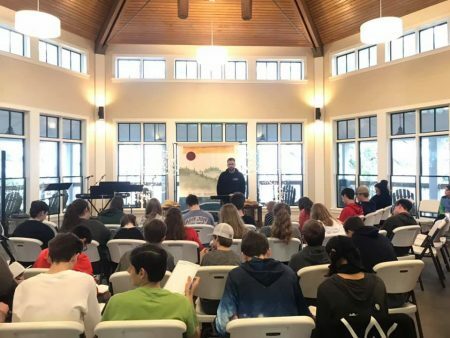 The vision and goal of the High School Ministry at Shades Mountain Community Church is to see every student develop as a disciple that makes disciples for the glory of God. We hope to accomplish this goal by instructing and involving students in holistic discipleship for their whole lives. In doing so, we first want to learn how to praise God for relating the gospel to us through his Son. It is because of the gospel that we also want to grow in relating the gospel to ourselves through the various spiritual disciplines, relating the gospel to one another through community, and, finally, relating the gospel to the world through missional living. The High School Ministry meets in the Jones House Basement every Sunday morning from 9:00-10:15 and every Wednesday evening from 6:30-8:00. Life Groups meet each Sunday night at 6:00. This semester, Life Groups are using the book Respectable Sins, by Jerry Bridges. If you’d like more information about getting connected with the High School Ministry, please contact Matt McGrew. Ascend Camp is a Christian based camp in Carlinville, IL. This will be our third year to attend as a group! You can find out more information about Ascend here. Registration is now open for Ascend Camp 2019; camp dates are June 26-30! Registration requires a $75 deposit; you can sign up using the button below. Please note that the total cost of camp this year is $350 per student IF you register by April 11. After that, the price increases to $400 per student. Our annual Winter Retreat takes place each year in mid to late January, during the weekend of Martin Luther King, Jr. Day (January 17-29, 2020). Watch this page for details regarding our 2020 retreat!